Choose classic elegance in timekeeping with this sophisticated brown leather strap watch from the St Mawes collection by Daniel Wellington. Crafted with a warm rose gold-plated stainless steel case and fresh white index dial. Minimalistic and elegant. Timeless classics by Daniel Wellington. 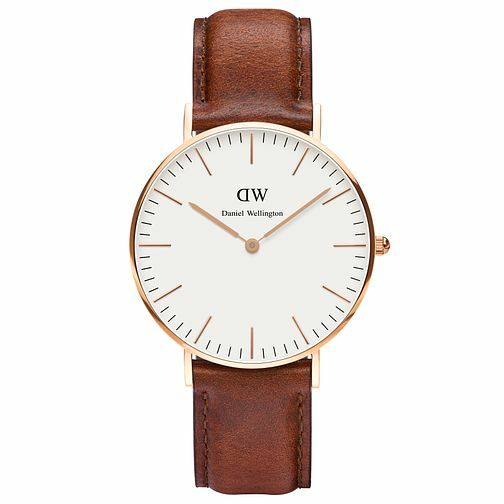 Daniel Wellington St Mawes Ladies' Brown Leather Strap Watch is rated 4.8 out of 5 by 4. Rated 5 out of 5 by Anonymous from This product is really stylish I bought it for a friend as a gift and she really love it!